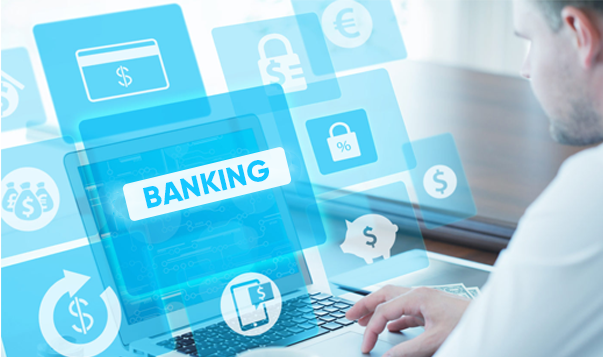 Myriad challenges beset banking sector today – heavy regulations, evolving customer needs, increasing transaction volumes, increased high-tech financial crimes and rapid technological changes to name a few. Managing these challenges requires timely and deeper insights on risk, customer relationships, costs, revenues, and other key parameters. How do the banks get access to such insights? The answer is- using Predictive Analytics. Predictive Analytics is a stream of advanced analytics which uses new as well as historical data to forecast activity, behavior, and trends to predict the future. This involves data mining, modeling, employing statistical analysis techniques, and automated machine learning algorithms to make the predictions. It helps organizations discover business issues in real time and address them at the right time to get the best outcomes. 1. Credit Scoring: Advances in technology have enabled financial lenders to reduce lending risk by making use of a variety of data about customers. Employing statistical and machine learning techniques, available data is analyzed and boiled down to a single value known as a credit score representing the lending risk. The higher the credit score, the more certain a lender can be of the customer’s creditworthiness. Credit scoring is a form of artificial intelligence based on predictive modeling that determines the likelihood of a customer defaulting on a credit obligation, becoming delinquent or insolvent. The greatest benefit of credit scoring is the capability to help make decisions in a fast and efficient way, such as to accept or reject a customer or increase or decrease loan value, interest rate, or term. 2. Fraud detection: With advancement in cashless transactions, most physical and time-consuming procedures have been replaced by fast and convenient, real-time payments. But all this convenience has led to a rise in online fraudulent activities like phishing, application fraud, identity fraud, and card skimming. Combining multiple analytics methods can act as effective antifraud solutions and prevent criminal behavior using improved pattern detection. Two such solutions developed by CRIF, a credit information company in India, are IDENCHECK and SHERLOCK by CRIF. While the former is designed to enhance your existing KYC verification processes by providing digital capabilities to check against Government and other public databases, the latter brings around powerful anti-fraud solution to help detect and investigate application and identity frauds like never before. 3. Collections: Every bank has a set of customers who pay behind time, and as such, collections become an integral activity. What needs though, is channelizing of energies in the right direction. Predictive analytics helps banks distinguish between the various portfolio risks effectively, by optimizing the collections process. It helps banks segregate risky customers from the risk-free ones. This can help banks devise actions and strategies to achieve positive results. 4. Cross-selling: Efficient cross-selling of products can happen by analyzing the existing customer behavior patterns at places where multiple products are offered. This analysis can help identify which specific products are to be sold to whom and help banks in channelizing their sales and marketing efforts. And all of this results in more effective cross-selling thus increasing profitability and strengthening the customer relationship. Today, retaining one profitable customer is a big task for banks, hence cross-selling another product to an existing customer helps a lot. The above benefits are just a fraction of what banks can achieve using Predictive Analytics. To gain competitive advantage, banks should recognize the importance of data science, incorporate it in their decision-making process, and develop strategies based on the actionable insights from their customers’ data.